There are a number of models that we can use to specify requirements: models that focus on processing, others that are more concerned with data and other that concentrate on state. 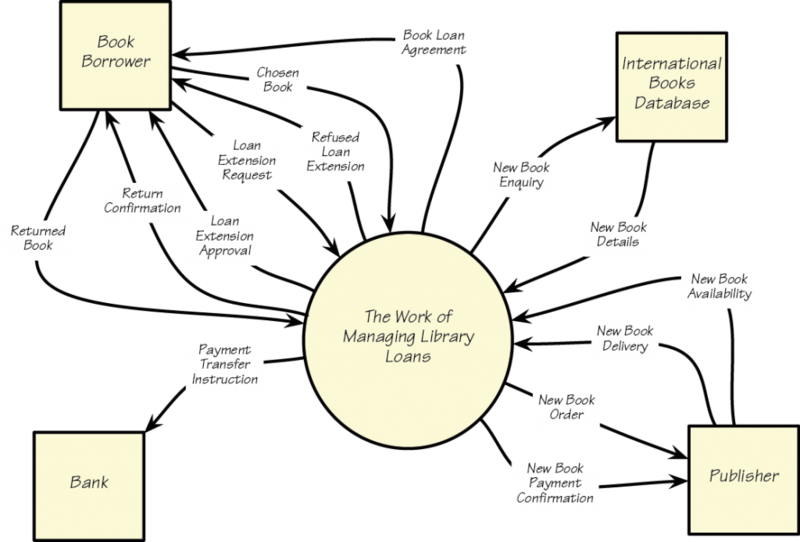 We have business process models, UML activity diagrams, swim lane diagrams, class diagrams, entity relationship models, state transition diagrams, SYSML diagrams…..the list is practically endless. Given all the options, it is beneficial for you to consider which models are most useful (in conjunction with natural language) to help you specify the requirements in your environment. Book ISBN – a unique identifier for a book, assigned by the agency responsible for ISBN in each particular country.By carefully defining the content, and thereby the meaning, of the data that is input and output to the work, you are building a common understanding of precisely what the data is and through that, what the functionality of the work is. When you reach the stage of writing the atomic requirements, you continue to use the terms that you have defined in your data dictionary.